My beloved Bourjois foundations are a little dark for me at this time of year, so I've been on the hunt for a lighter alternative. Being so pale is annoying at times, plus my face is slightly darker than my neck so I have to be careful not to look like I've been Tango'd when finding the perfect base. I've heard a lot about Rimmel Match Perfection recently, their colour range is pretty amazing for a 'drugstore' foundation so this was firmly on my list to try. 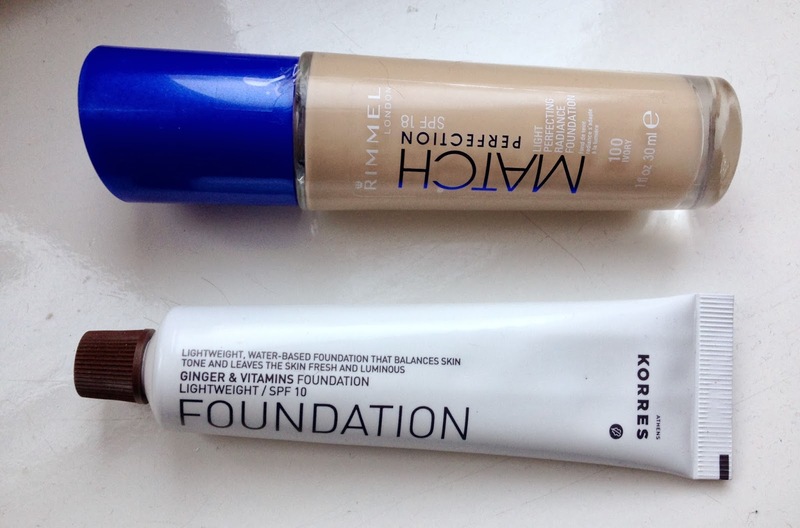 My second new foundation is the KORRES Ginger and Vitamins foundation - this was completely bought on a whim because I love the packaging, during a Fragrance Direct haul a few weeks back. I will start with the Rimmel Match Perfection in Ivory. This is actually the second lightest shade in the collection as Body Care didn't have the next shade up. However it's a pretty good match for my skin. This is a medium coverage foundation, it's easy to blend and a little goes a long way. This is perfect for dry/normal skinned girls as it does leave you a little dewy, but that is nothing a little setting powder can't sort out. Wear time I would say around 6-8 hours, I have pretty dry skin and don't generally wear a primer, but this stuff seems to stay in place after a full day at uni. The staying power isn't as good as Healthy Mix or 123 Perfect, but the shade range certainly makes up for it. 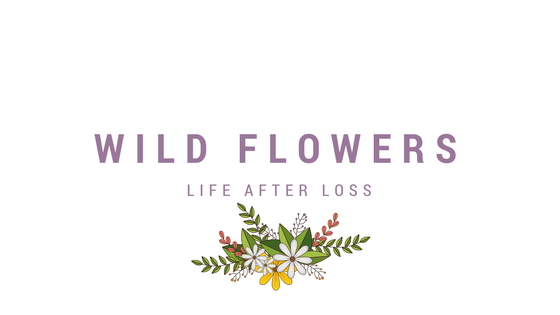 Next is the KORRES Ginger and Vitamins in LF1. This comes out a lot pinkier toned than the latter, and is actually a little darker than it looked on the website. This is REALLY light coverage, in fact I would refer to this as a tinted moisturiser, rather than a foundation. Again, this probably isn't great for oily skin, this has maybe a bit too much of a dewy finish, but sits well on dry skin. This foundation actually seems too blend out well, to near enough match my skin tone. It is really light in texture, a lot different to the Match Perfection and kind of 'greasy' feeling so there is no choice about powder with using this one. Once it's set in place I like to finish an the rest of my make up sits on top well. Wear time is around 4-6 hours, after that I feel a little annoyed with it and have to take it off, so it's perfect for running out to the shops but not so great for a night out. Overall, I much prefer the Rimmel Match Perfection, it leaves my skin pretty flawless and I don't have to add concealer other than under my eyes, which is always a bonus. The KORRES isn't a total disappointment and will probably suit me more during the summer months when I have a little more colour in my cheeks. However, for now it's certainly worth paying the extra £1 for a better coverage and huge shade range. Can't wait to try the Rimmel Match Perfection! 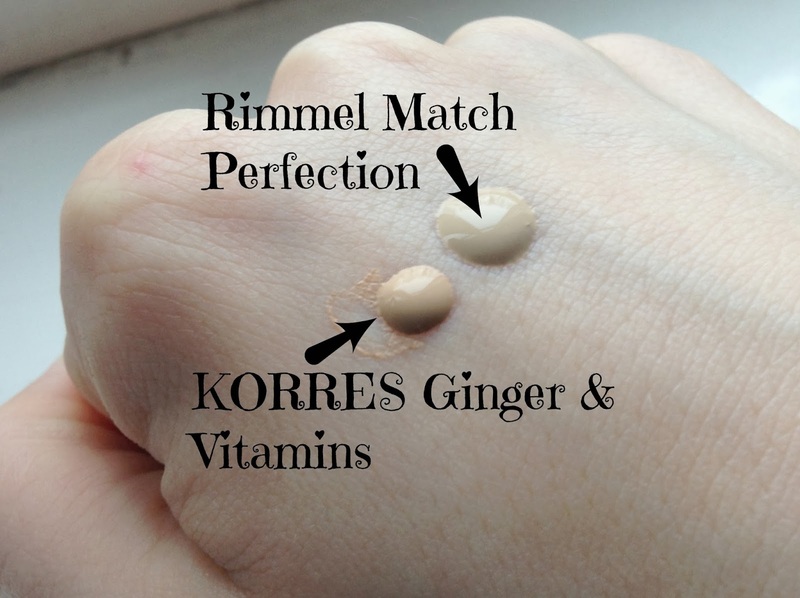 Ooh the Rimmel Match Perfection looks amazing, I always assume their foundations will be a little on the darker side so I never check them out, will have to have a look! You are so right having pale skin is a nightmare especially at this time of year when it gets even paler!! I was tempted to try the korres on fragrance direct but the colour was sold out. My favourite make up brush. OOTD: Love Hearts & Heels. My skincare routine: Normal/Dry Skin. Lulu & Boo Chamomile Cleansing Balm. Alice in Wonderland & Free Phone Skins. Oribe Dry Texturising Spray Dupe. Specspost Home Trial - I NEED YOUR HELP! Blog sale bargain: Naked Basics Palette.